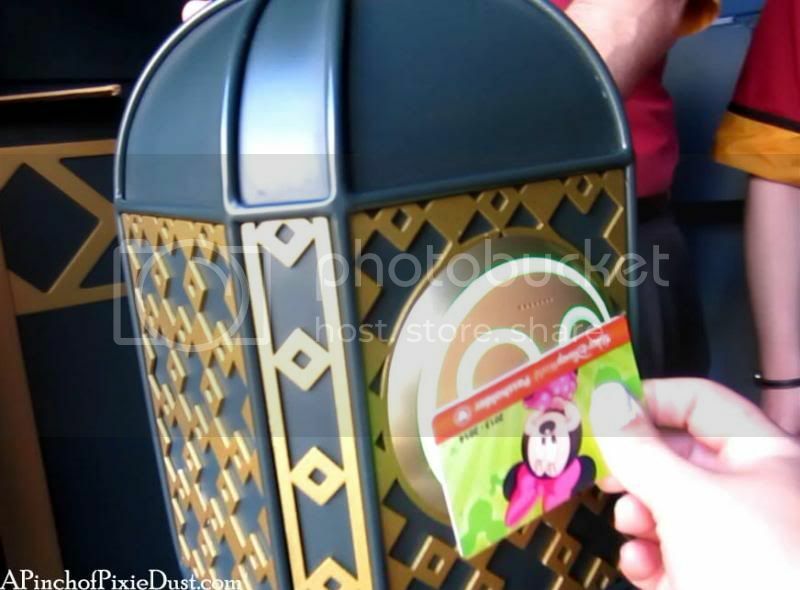 With the new MagicBands and Fastpass Plus system that's arrived at Walt Disney World, all we Disney fans and Disney snobs are still getting used to a slightly new way of trip planning and park touring. 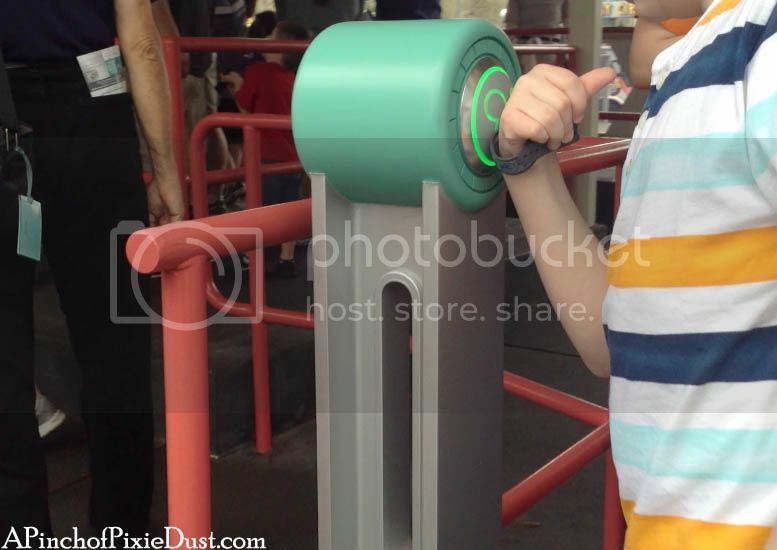 But what I love best about the Disney parks is that when there's a new attraction or show or a new system like My Magic Plus, the Imagineers always add some extra pixie dust to it. 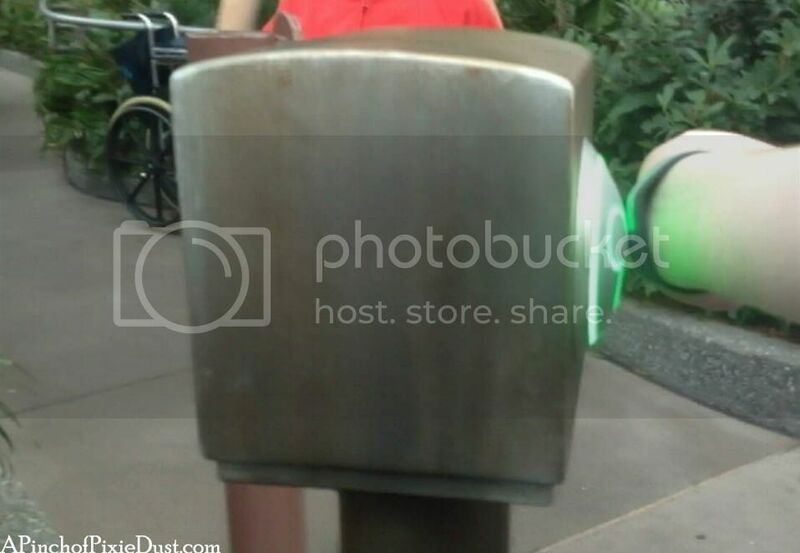 Here's the touch point at the Magic Carpets ride in Adventureland at the Magic Kingdom. It's looks like a magic lamp...maybe if you rub it a genie will come out?? They've reused the lantern design with a different coat of paint at the Great Movie Ride over at Hollywood Studios...definitely in keeping with the Chinese Theater! 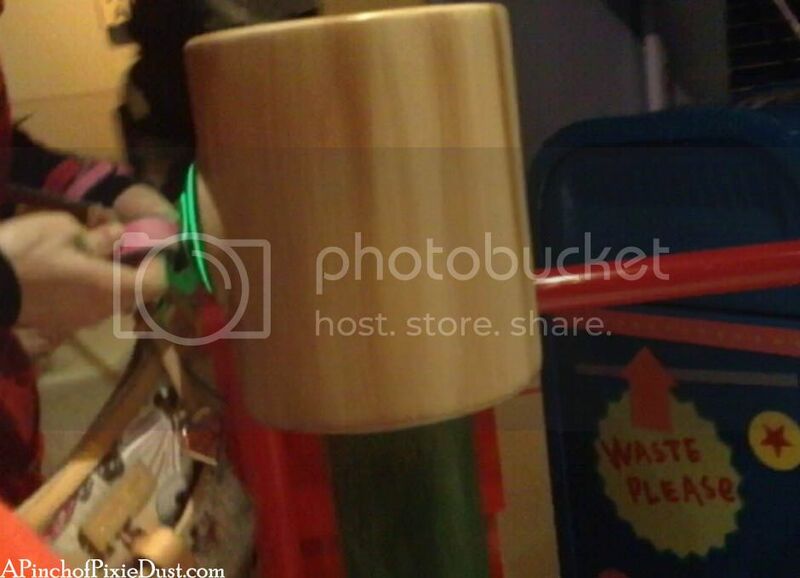 ...so naturally the MagicBand sensor is attached to a piece of flotsam and jetsam! 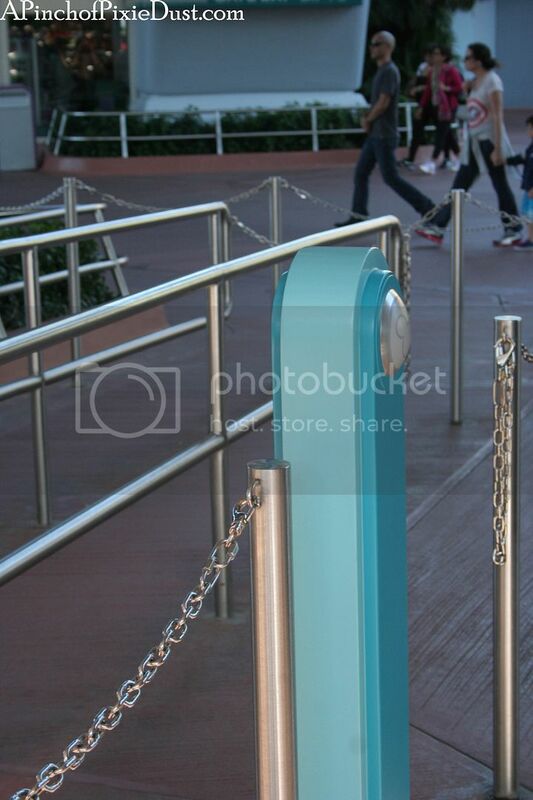 Spaceship Earth has some very sleek turquoise MagicBand touch points. 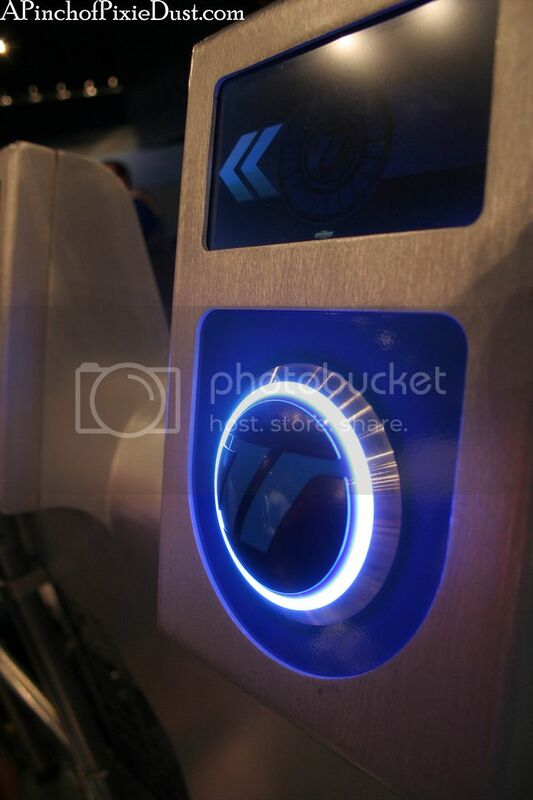 There were plenty of sensors to use your MagicBand at Test Track - you could attach your car design to your MagicBand and you could also use it for the Photo Finish epostcards. 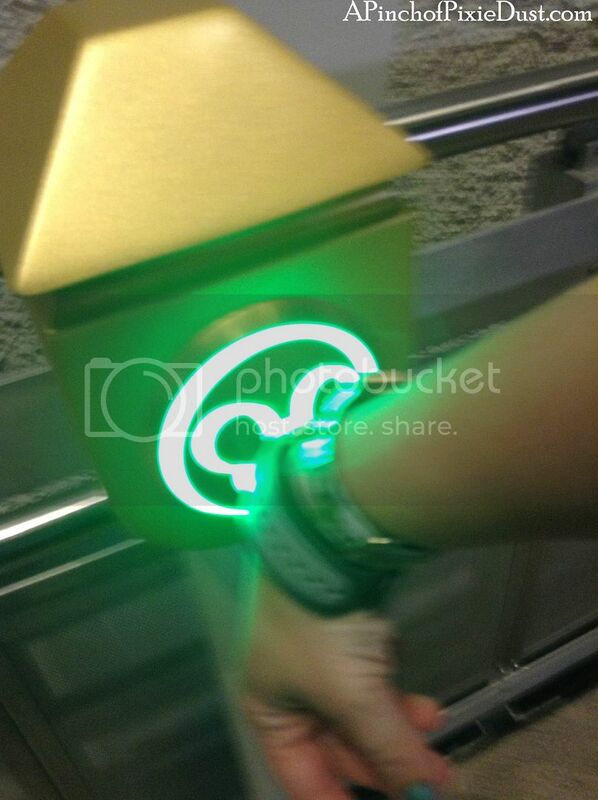 Here's the FP+ return at the Tomorrowland Speedway - very retro space age. 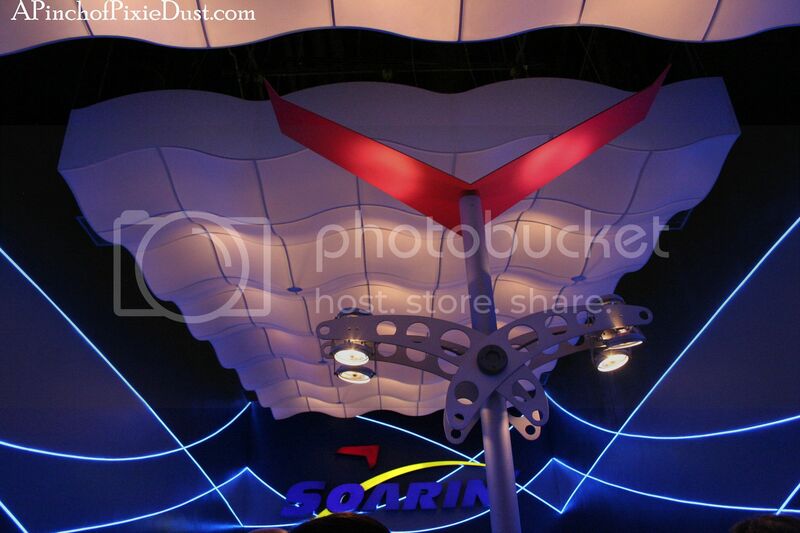 I did like the touch point at Soarin' at Epcot...it's in that stunning blue hallway with the wavy cloud ceiling. They've recycled that design too in the Animal Kingdom at the Dinosaur ride. 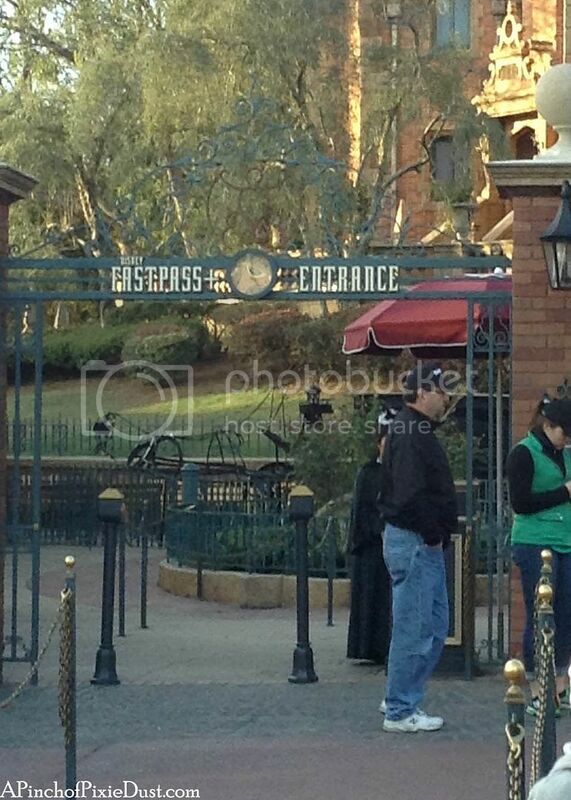 Haunted Mansion was one of the first attractions we tried Fastpass Plus on, and I was so excited by the spooky sound. 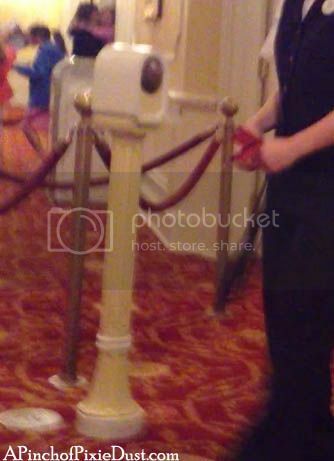 I made sure to video a variety of the other Fastpass+ touch point chimes during different trips, but all the rest of the FP rides we tried had a pleasant but identical tone that played. 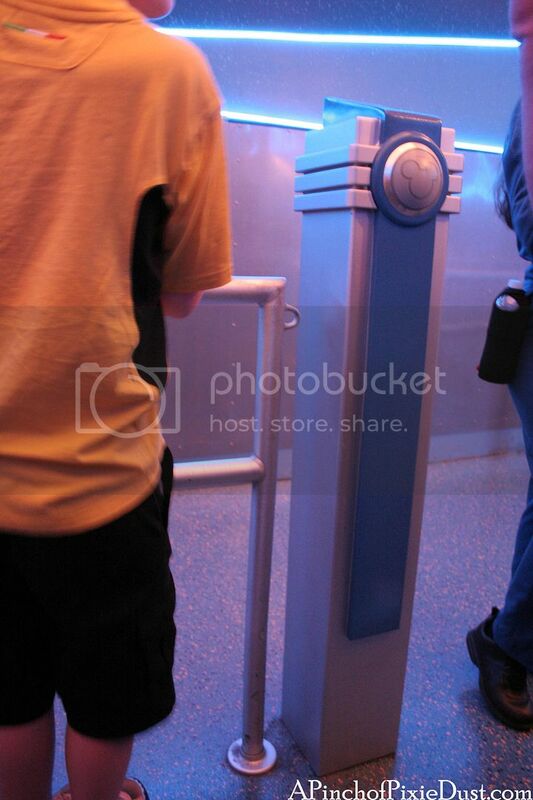 That would have been such a fun touch if every ride had a unique melody. Maybe the FP+ programmers are big HM fans? 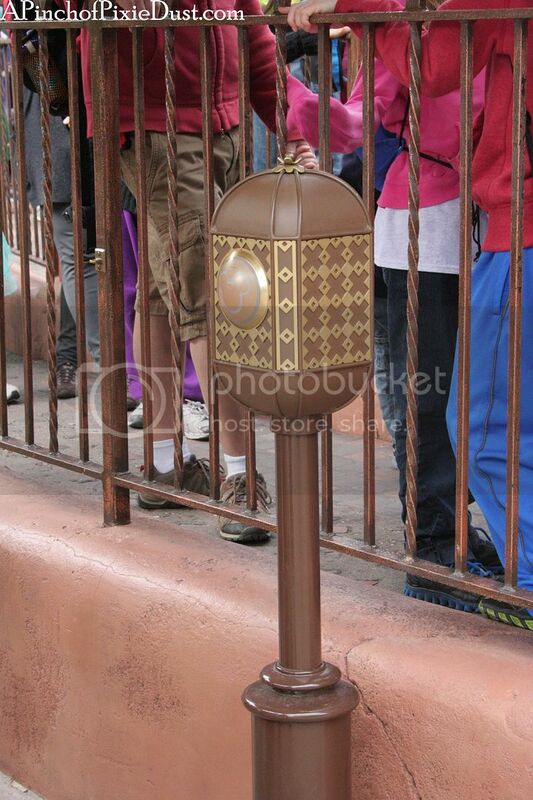 My fingers are crossed that they'll add individual chimes for more rides. 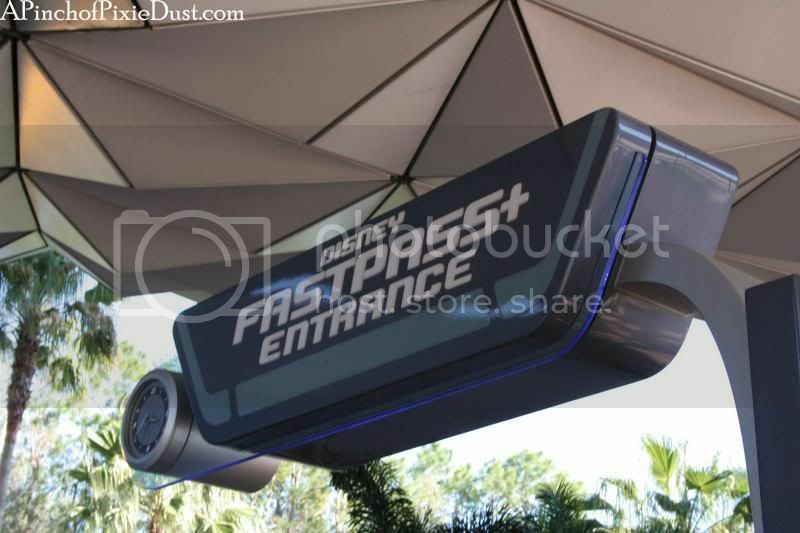 Now I know I'm kinda crazy in the way I look out for tiny details...but I would've liked a rebel symbol painted on the side of the Star Tours sensor, on the left. 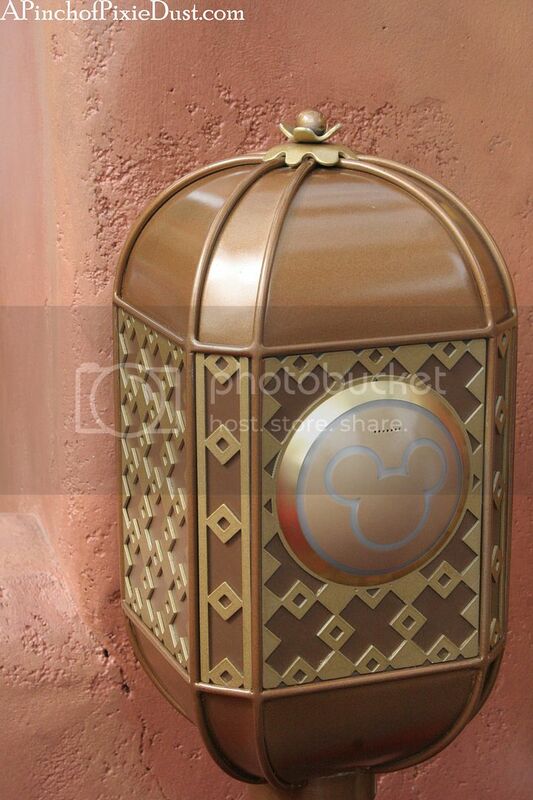 And Toy Story Mania has such a cute trash can...I would love a more colorful, toy-inspired touch point! 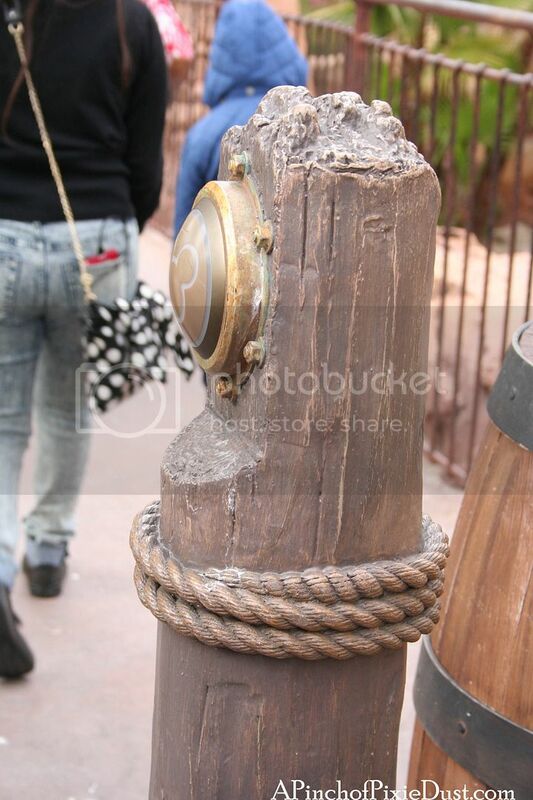 But maybe they did these in a rush, and we'll see more detailed pillars in the future. Many of the Fastpass Plus entrance areas themselves are nicely themed with pretty signs (Haunted Mansion on the left, Dumbo on the right). 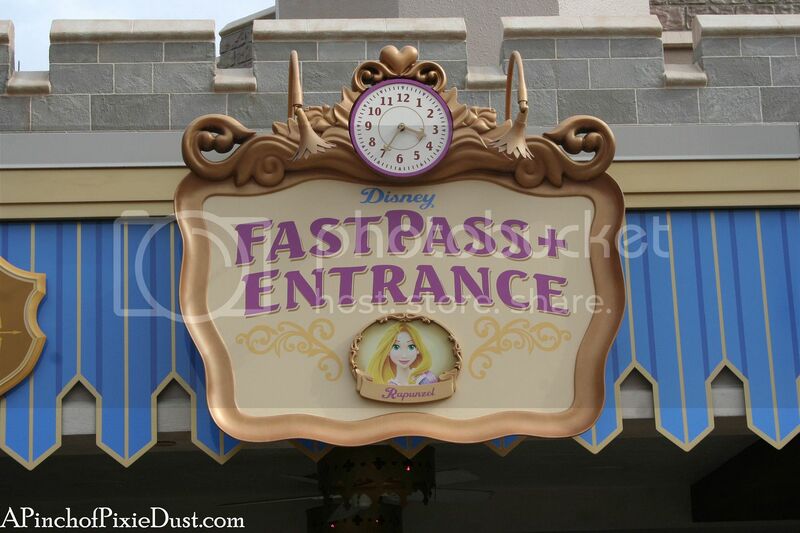 I would like to see some crowns atop the Fastpass+ sensors at Princess Fairytale Hall, don't you think? 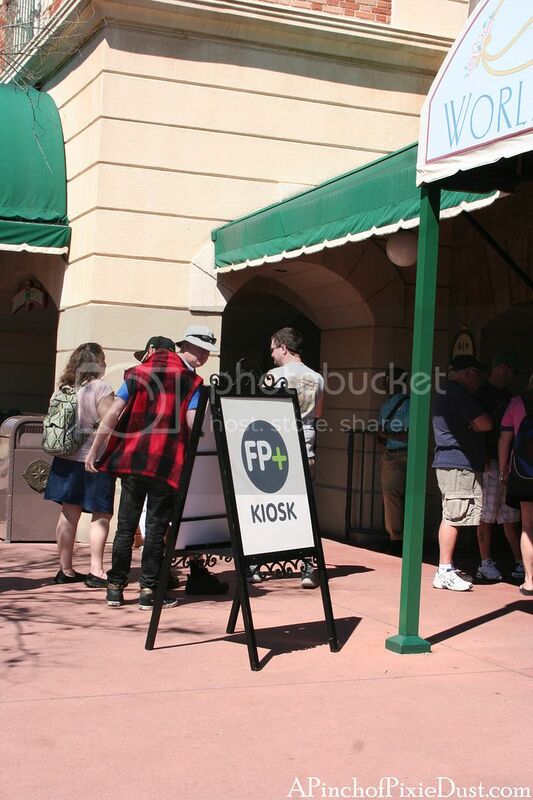 Since we're on the subject of Fastpass Plus details, let's have a look at the kiosks where you can make FP+ reservations in the parks. 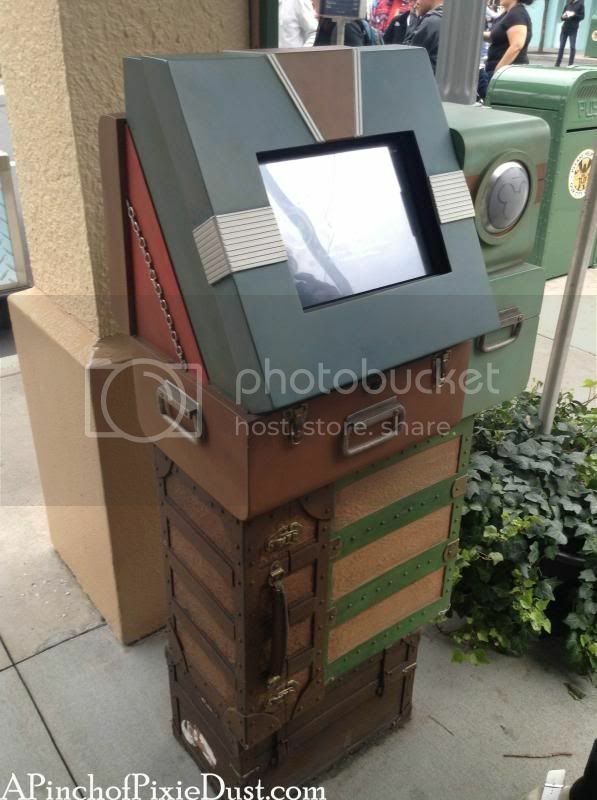 Hollywood Studios had a cute stacked-suitcase kiosk near the tip board, but many of the kiosks are just a placard with a bunch of cast members holding tablets. 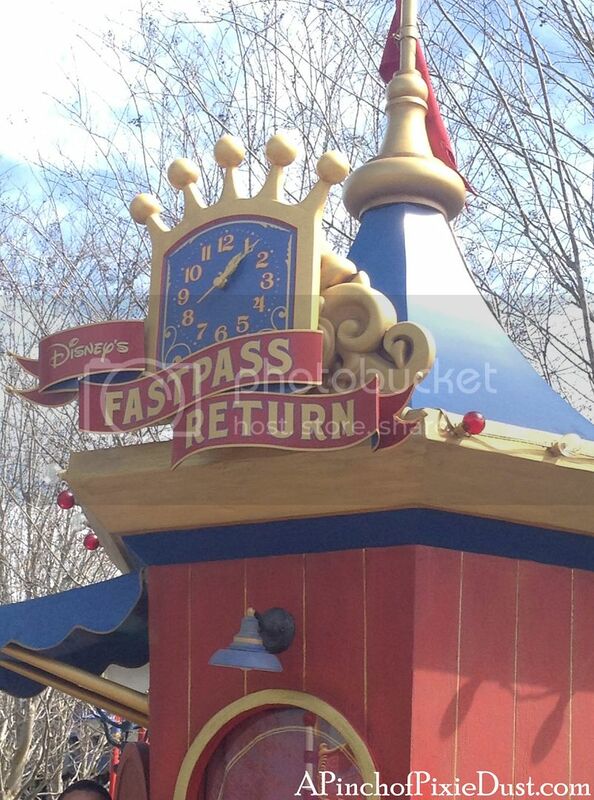 It's a pity, because the old paper fastpass machines were so well-themed and interesting. 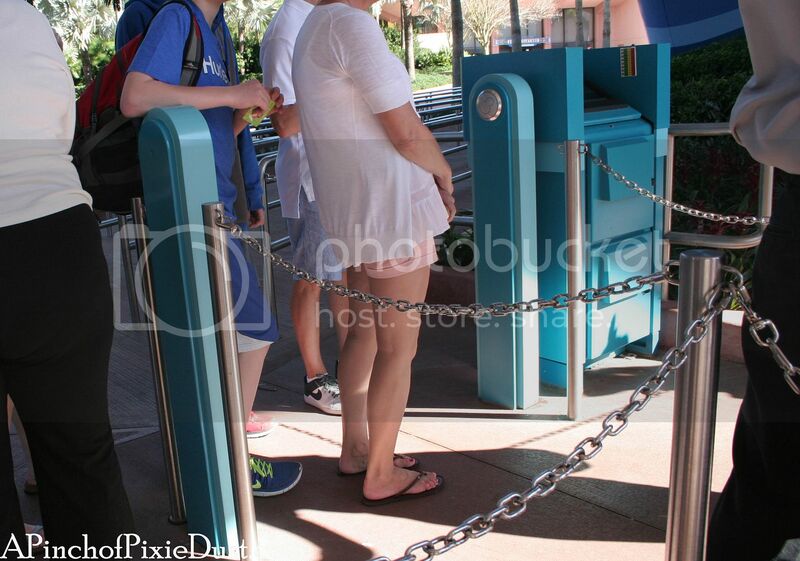 Maybe they'll convert some of the old paper machines into new Fastpass+ kiosks with more details? 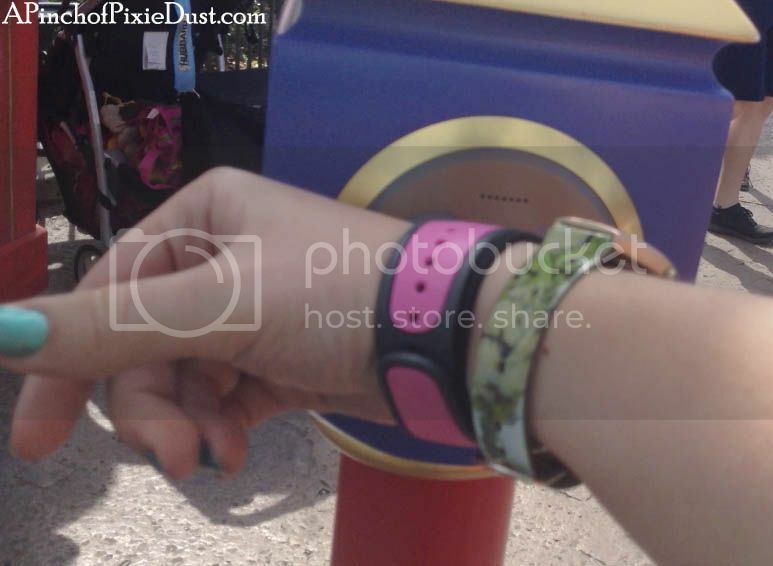 Just getting used to FP+ takes some concentration, so it's easy to miss all the new little details when you're going through with your MagicBand. 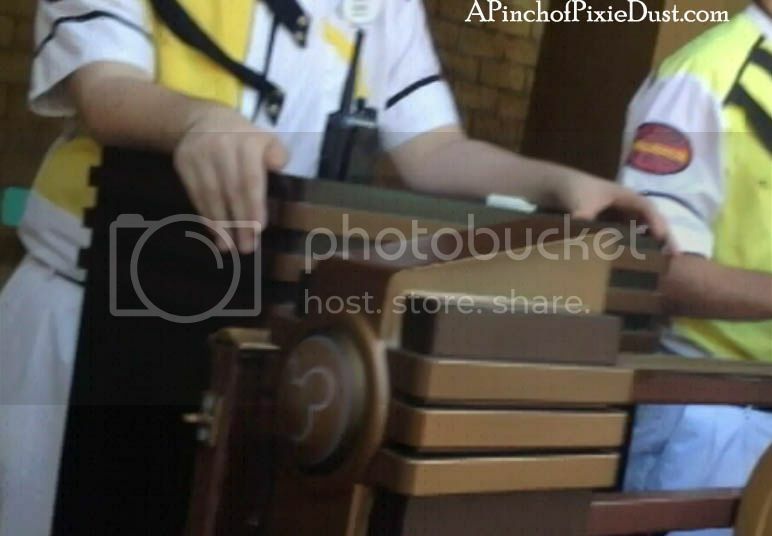 What are your thoughts on the new theming?? 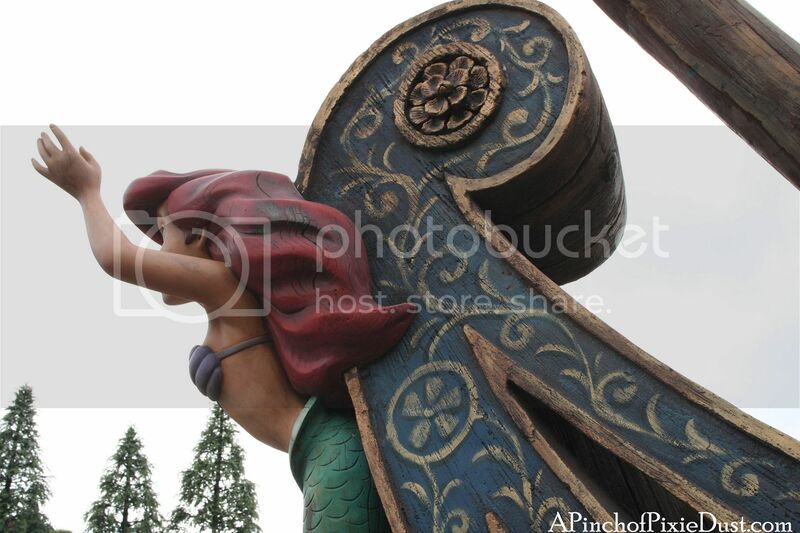 Love the theming of them! Just because I had read your post about FP+ before our latest trip in January did I think to even pay attention to any potential sounds and the designs!